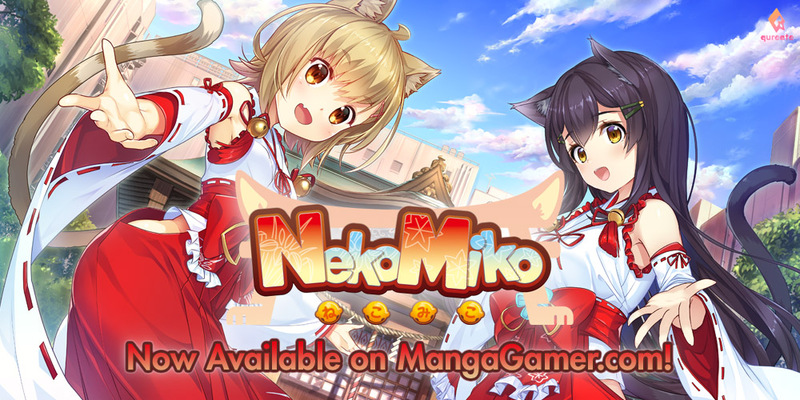 NekoMiko – On Sale Now! 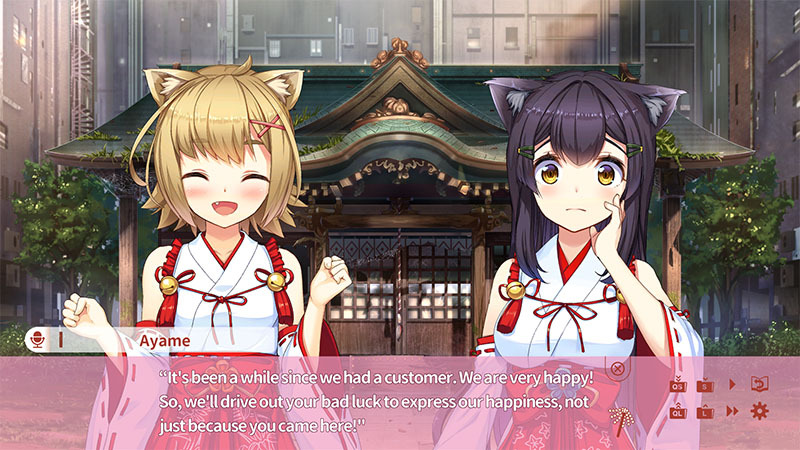 NekoMiko from qureate is now available on MangaGamer.com! Get 10% off during launch week. Nekofuku Shrine is a small shrine located in a corner of Akihabara. It is dedicated to two cats that are said to bring in good fortune and expel any misfortune. The legend goes that two cats came to help the revival of the town after a huge fire burnt it down a long time ago. Although the ancient and honorable shrine has stood in a quiet side street of Akihabara for hundreds of years, its surroundings have developed, leaving it with no worshipers for many years. One day, a very unfortunate young man came to visit the old shrine. The two cat-eared girls in the appearance of shrine maidens, could not stand by and not greet their first worshiper for many years. Especially one riddled with such misfortune. It turns out that this is the start of a somewhat eventful and sexual cohabitation between the young man and the two cat-eared shrine maidens! OS: Windows 7 and newer.